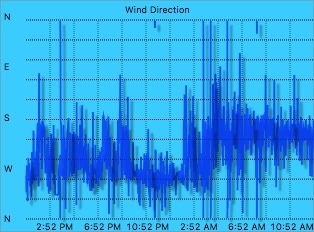 The wind direction gauge shows the current wind direction with its larger pointer. 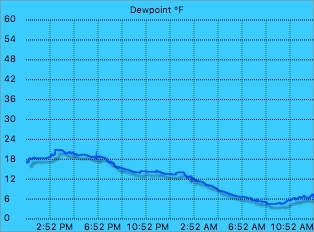 The smaller pointer displays the average wind direction - this will be gray until valid, it then becomes red. 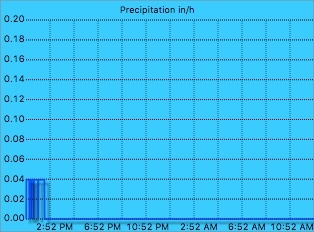 The Wind Speed gauge shows the current speed with the larger pointer whilst the smaller pointer shows the average wind speed (which turns red when valid). 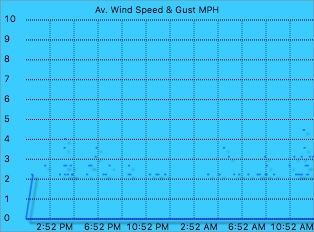 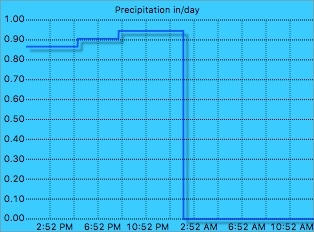 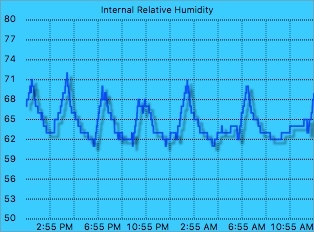 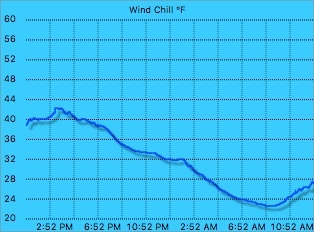 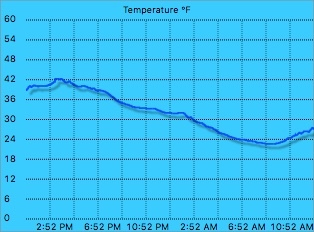 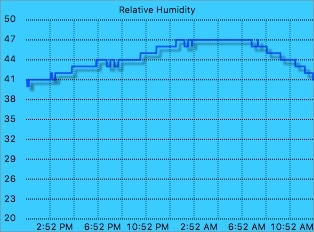 The bottom figure in the dial shows the 10 minute gust (1 MPH in this picture). 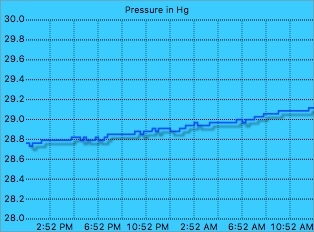 The Barometer shows the current relative pressure plus the high and low readings since the reset button was last pressed. 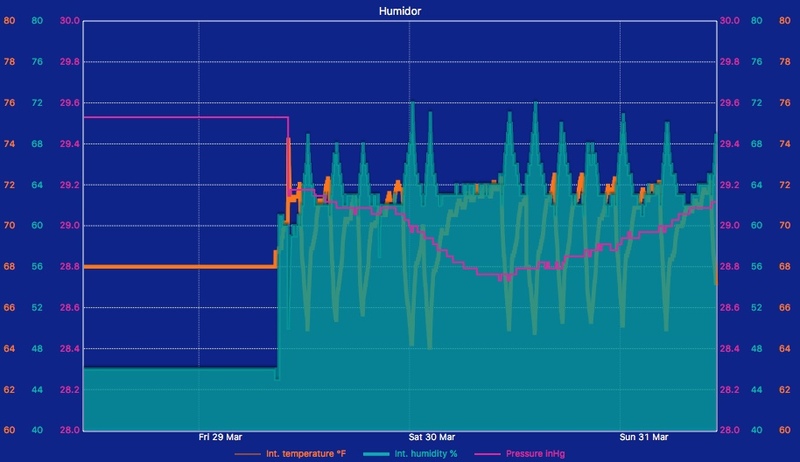 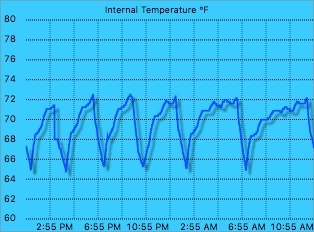 All thermometer type gauges show the current value plus daily high (red line) and low (blue line).